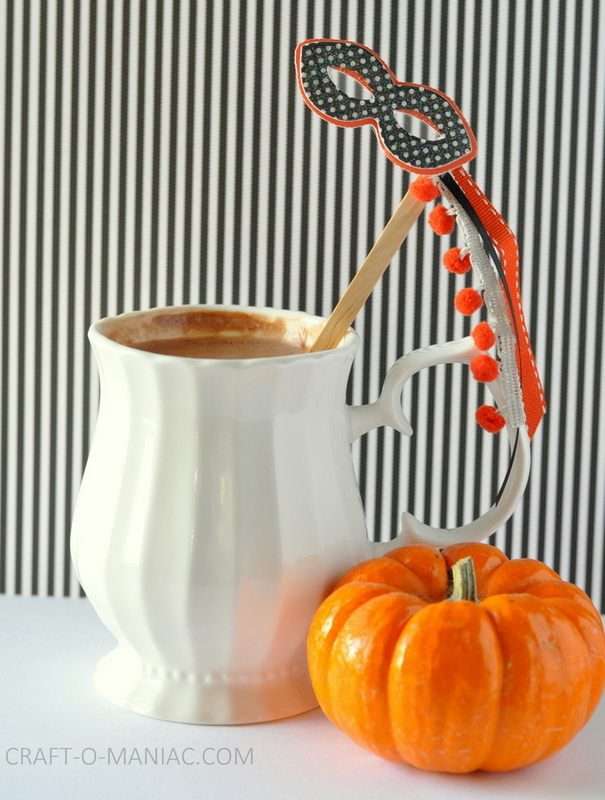 Today I am sharing these fun Halloween Mask|Hot Cocoa Stir Sticks. 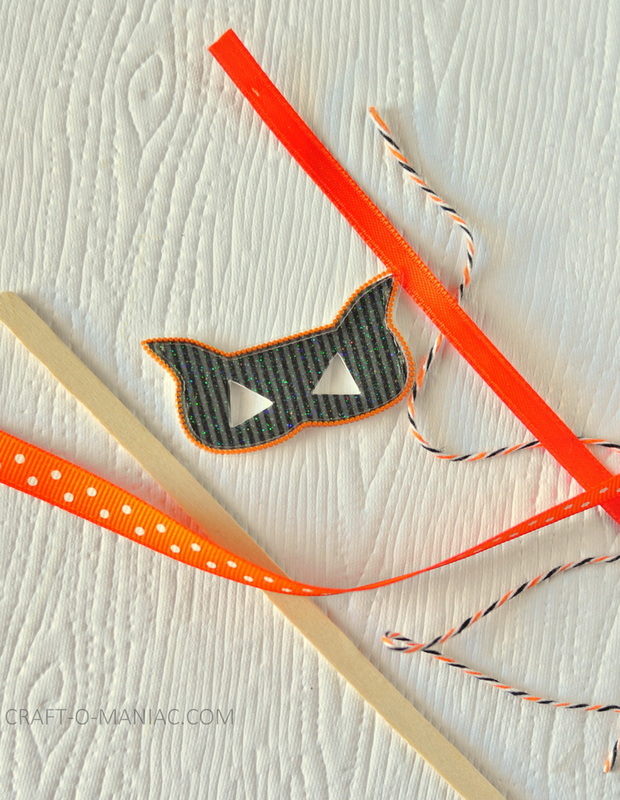 Kids love hot cocoa, and kids love masks, So what better then some cute mask hot cocoa stir sticks. 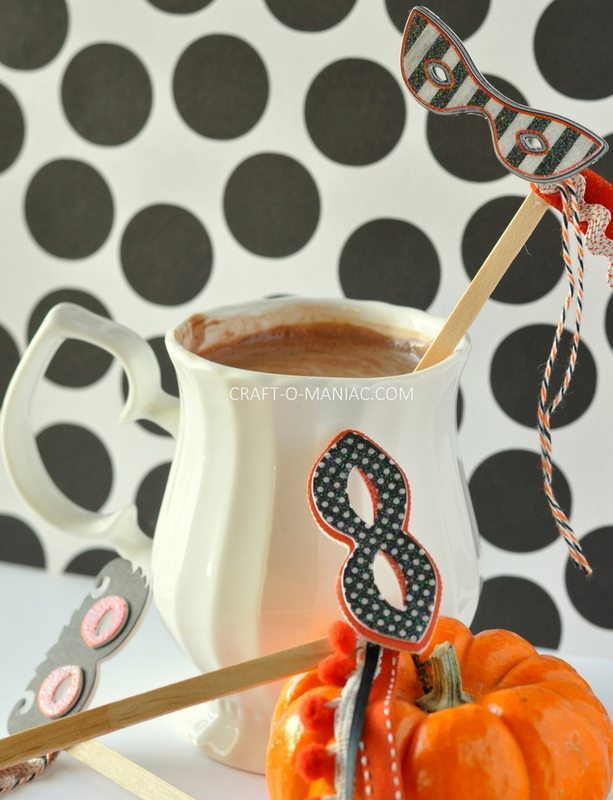 Your kids can play with the masks and pretend like they are wearing them and they can use them to stir their delicious hot cocoa. Win Win! 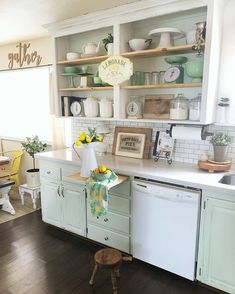 How To: Start by picking out 3-4 different colored ribbons or bakers twine. 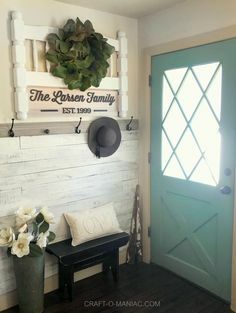 Cut the length you want and with your hot glue gun one by one hot glue the ribbons or b.t. around the stick or just to the front of the stick, it doesn’t matter. 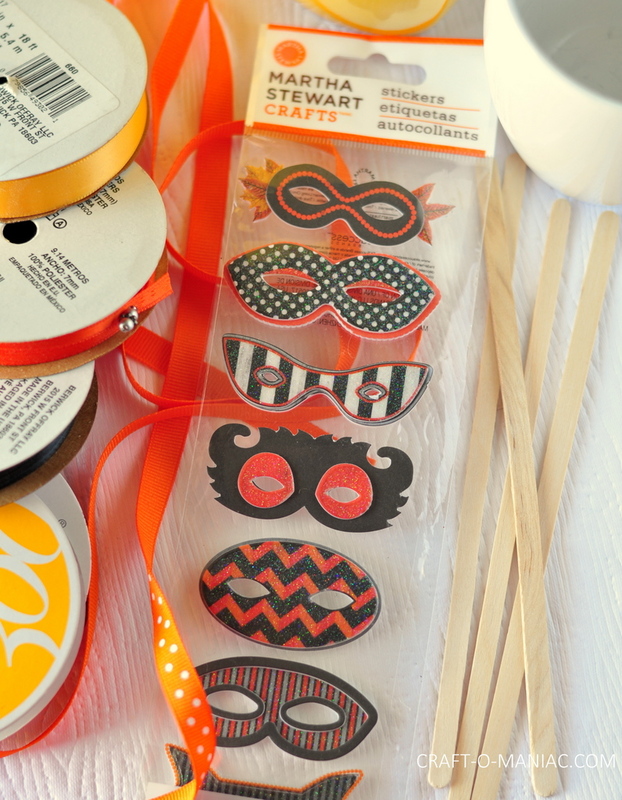 Once the ribbons are glued down, go ahead and glue down your sticker. I left my stickers on the clear plastic sheet and cut them out, so the backs wouldn’t be sticky. 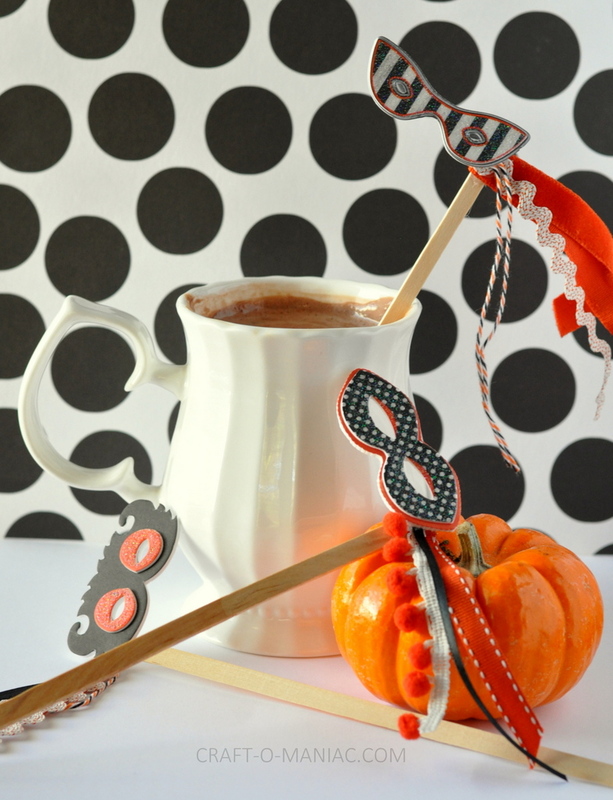 Make up your delicious hot cocoa and serve them up to your kids, or Halloween party guests. 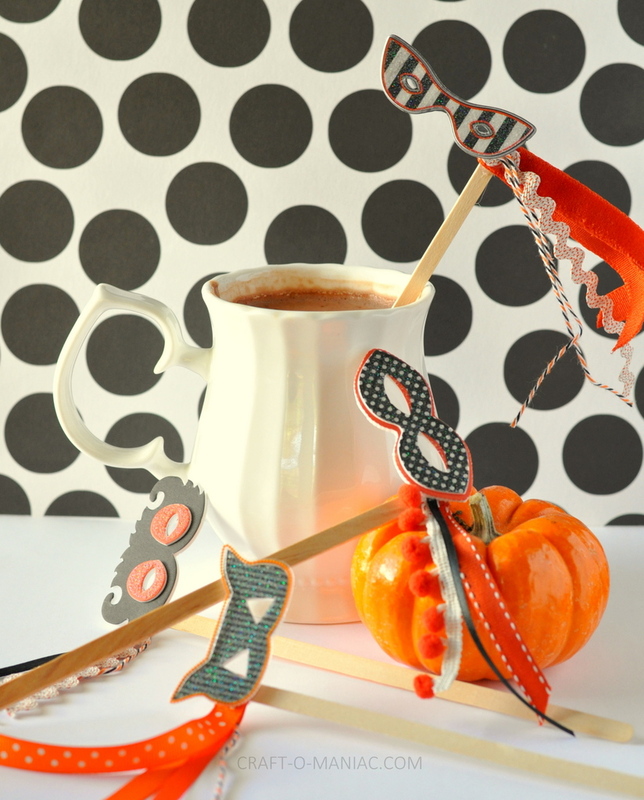 These sticks are great for apple cider too. 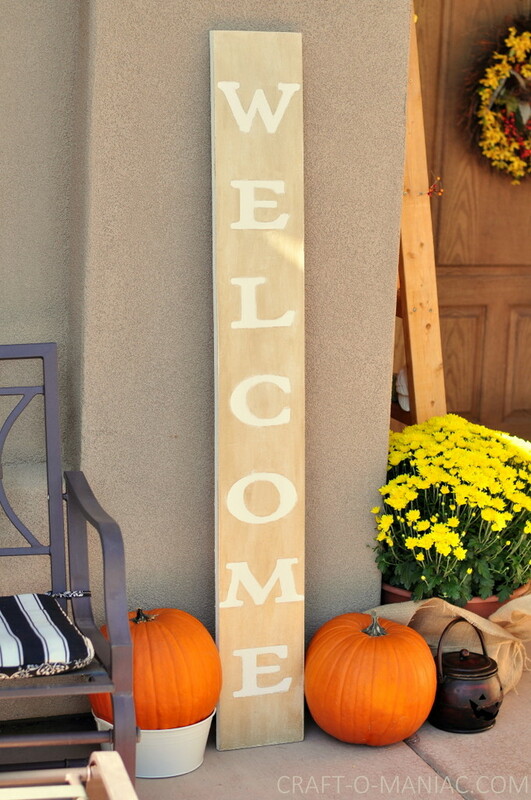 Below you can check out some other recent fall decor. I love mixing fall with some Halloween too. 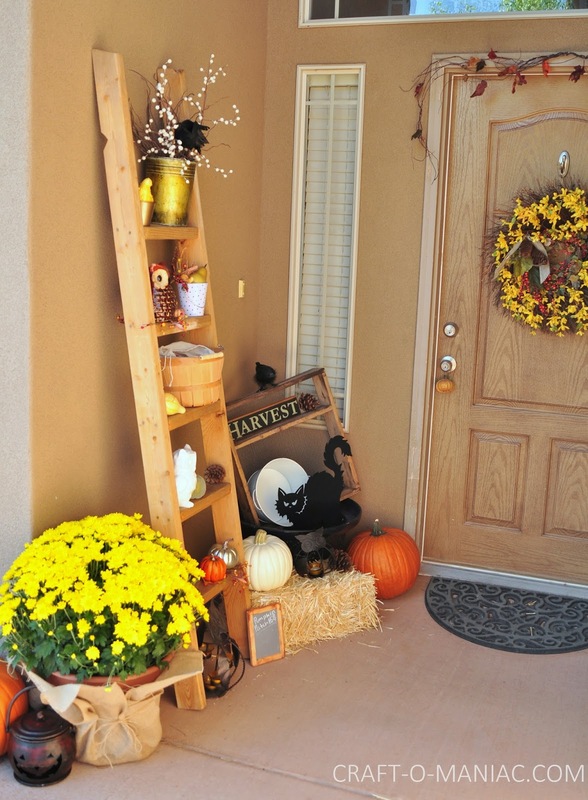 Here is my Fall Porch this year. 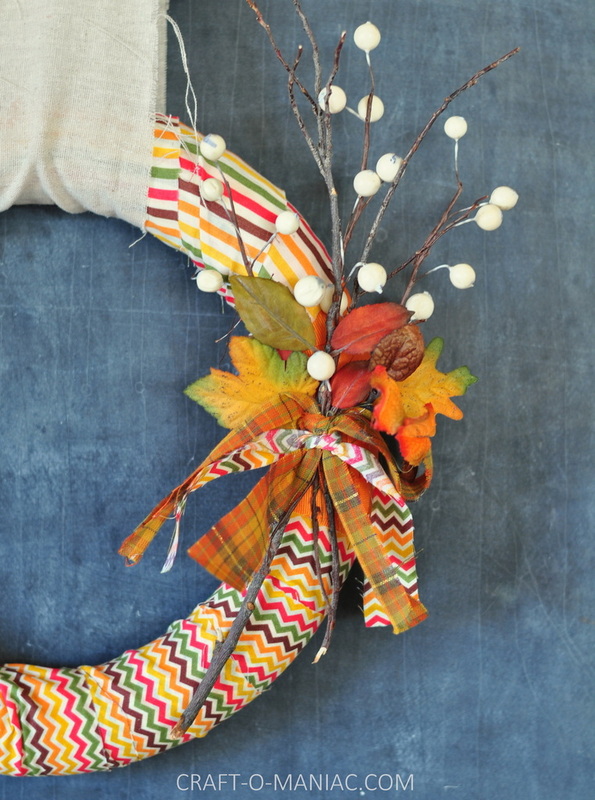 and my fall wreath I made the year here.